KIDNAPPED PASTOR RAYMOND'S SON FEARS FATHER DEAD, CRIES FOR ACTION & JUSTICE, MY HEART BLEEDS! 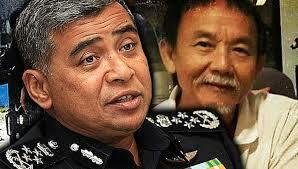 WHAT GAMES ARE THE IGP & NAJIB GOVT PLAYING? There are times you want to keep out of domestic religious controversies, given that many in Malaysia are possessed of a siege mentality where Islam is concerned. However, what happened recently is so dangerous and outrageous that no one should keep quiet and allow the rottenness to fester further. Especially not, when PM Najib, Deputy PM & Home Minister Ahmad Zahid Hamidi and the BN Cabinet continue to wine and dine the dangerous Zakir Naik who is wanted in India for radicalising Muslim youth, making hate speech and suspected of being involved in terrorist activities. Zakir, who was also banned in UK, Canada and Bangladesh, has apparently been granted PR in Malaysia. In India, he is being investigated too for massive accounting fraud and money-laundering. Najib and his government of thieves do not seem to have learnt anything from Malaysia granting 17 years of shelter to Indonesian Abu Bakar Bashir who was convicted of terrorism in 2005 and was responsible for many an innocent death, especially 14 in the 2002 Bali bombing. Or, from the fact that Malaysia has seen a few thousand radicalised Malay-Muslims go fight on the side of the Taliban ans ISIS, and produced some of the top terrorist bomb-makers like Azahari! 1. The involvement of 7 vehicles in the abduction, including several SUVs, a Toyota Alphard and two motorcycles. 2. The military-like precision with which the kidnapping was executed. 3. With chilling coolness, the kidnappers getting down from their vehicles to direct traffic as they made their escape! 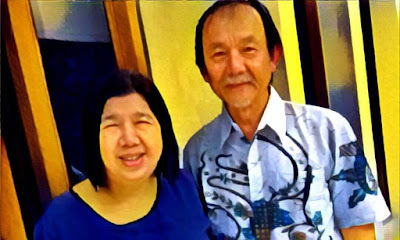 In 2011, JAIS (Jabatan Agama Islam Selangor or the Selangor Islamic Religious Department) raided, without search warrants, a church thanksgiving and fund-raising dinner at the DUMC (Damansara Utama Methodist Church), alleging Muslims were being converted to Christianity. JAIS was subsequently unable to produce a shred of evidence to substantiate its Draconian action against Pastor Raymond's NGO, Harapan Komunity which had organised the event. CLICK HERE. Following Pastor Raymond's abduction, there has been considerable speculation in social media, twitter, online news portals and blogs that the kidnapping was in retaliation for the humiliation JAIS suffered from the 2011 raid, a disaster of its own making. Then, former Selangor Exco-member Hasan Ali had raised the temperature with his ill-advised rhetoric and false claims. What is even more incredible is that the Inspector General of Police, Khalid Abu Bakar (IGP), finally got around to announcing a 'Task Force' to look into the kidnapping, only some 10 days AFTER the police had in their possession what must, by all accounts of STAR journalists, be a clear recording of the event! So, it's clear the IGP is playing games. It would take no more than one hour for the police to identify the owners of the kidnappers' vehicles. Yet, till today, there has not been a peep from the IGP or the authorities. 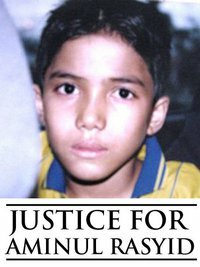 More startlingly, there has been no statement on this heinous crime from Home & Deputy Prime Minister Ahmad Zahid Hamidi, PM Najib or a single UMNO/BN Minister! Such apparent inaction and blackout by the authorities and government, suggests, at best, a cover-up; at worst a conspiracy by rogue JAIS officers and fundamental extremists. The fact that the kidnappers have yet to contact the pastor's family or demand any ransom suggests very dark motives and that the worse fate may have befallen the pastor. Pastor Raymond's son has voiced out out that he suspects his father was abducted to be killed. Does that not bring a lump to your throat? Who can read it without shedding tears? CLICK HERE. What we are witnessing is an IGP unwilling to act, and participating in a blatant cover-up to somehow prevent the global condemnation that is bound to follow when the truth emerges. Given the assassination at KLIA, on 13th February too, of N.Korean Kim Jong-nam, this kidnapping could not have occurred at a worst moment for PM Najib and UMNO/BN, with the General Election looming on the horizon. 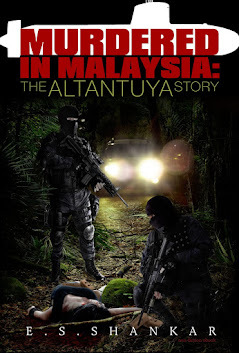 Remember too that Asia Sentinel (AS) has printed in black & white that 3 murders - Altantuya, Hussain Najadi and Kevin Morais - revolve around Najib. CLICK HERE. Najib's reputation and image have been battered internationally. Exposes by WSJ, Sarawak Report and AS have proven him a serial liar who is mainly responsible for the RM42 billion fraud at 100% state-owned 1MDB. Much of the looted money has ended up in Najib and Rosmah's own back-pockets! We are witnessing a dangerous totalitarian, Hitler/Stalin/Mao regime in its death throes. That is why the IGP is unable to see clear his duties to the citizens. Instead he is acting to protect thieves, looters, defrauders, con men, kidnappers and murderers out of a false notion of what Islam is. This is the same IGP who first snubbed a High Court order, then when ordered by the Federal Court, still stubbornly refuses to arrest poor Indira Gandhi's Indian husband, Muhammad Riduan Abdullah aka K.Pathmanathan, who kidnapped their children and converted them illegally to Islam! So, we know the type of paralysis that grips the IGP's mind! When all is said and done, and when the government of the day which the Citizens consented to and empowered to rule, refuses to do what is right, everyone of us who has a conscience, must act or be prepared to lose everything - house, home, family, children, wealth, status, welfare, law, order, honour, integrity, FREEDOM and LIFE! Do not just read this blog post and walk away shrugging your shoulders and saying that nothing can be done. Call, email, sms, tweet, do whatever it takes to contact your State Assemblyman/ADUN or MP and get them to petition the IGP, Home Minister, Najib and government for action and answers. We must bring to book all those responsible for Pastor Raymond's fate as soon as possible. Collectively, we can crush this government of serial liars, thieves, thugs, fascist Gestapo Nazis, defrauders, looters, plunderers and murderers! JUST DO IT! Link to full details of the kidnapping from day 1. CLICK HERE. 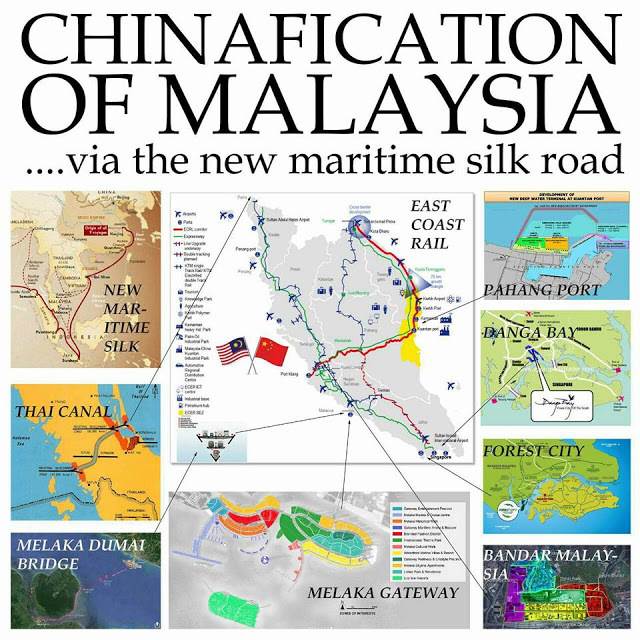 CHINAFICATION COLONIZATION OF MALAYSIA TO COVER UP NAJIB'S 1MDB $42 BILLLION FRAUD! by Dennis Ignatius CLICK HERE. 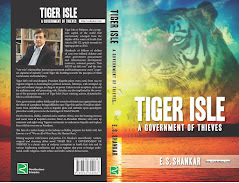 For Sri Lanka's Chinacation problems CLICK HERE. In an effort to blunt growing concerns over China’s increasing footprint in Malaysia, an argument is being made that China is no different from any other country and should therefore be viewed and treated no differently. Those who make this argument insist that there is no difference, for example, between investments from China and investments from other countries. They also wonder out loud why there are no corresponding concerns about sovereignty and related issues when other nations invest in Malaysia or when other foreigners take up residence under the Malaysia My Second Home programme (MM2H). Is China no different from any other country? Whatever the merits or otherwise of closer economic and political ties with China, one thing is clear enough: by almost any reckoning China is unlike any other country we deal with. Indeed, China poses a unique set of challenges that sets it apart from other countries. In the first place, China is the region’s predominant power. History teaches us that big powers invariably seek to establish spheres of influence and exert hegemonic control over their neighbours. Both the United States and the former Soviet Union did so in Latin America and Eastern Europe respectively. 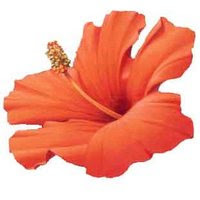 Supportive governments were maintained; recalcitrant ones were replaced. As well, a framework of political, economic and military ties was constructed to bind the respective regions to the local hegemon. All China’s economic, diplomatic and military interactions thus far suggest that China is following a similar pattern vis-à-vis Southeast Asia. The One Belt, One Road (OBOR) strategy, for example, is not simply a regional development strategy; it is primarily a geopolitical construct designed to help China secure a dominant position in the region, binding Southeast Asia to itself in a web of economic and other ties. Once fully in place, countries like Malaysia will be inextricably and inexorably jointed at the hip to China. China’s moves to neutralize ASEAN’s ability to act independently of China, its heavy-handed response to the Philippines over the Hague ruling, its aggressive intrusions into disputed waters, its growing influence in the domestic affairs of its neighbours, its steady military build-up in the South China Sea, etc., also suggest the pursuit of a wider regional agenda typical of big powers. Tun Razak himself, the architect of our relations with China, recognized these dangers and went to extraordinary lengths to help construct a framework – ASEAN, the Zone of Peace, Freedom and Neutrality, the Southeast Asia Nuclear Free Zone, the Five Power Defence Arrangement, and a loose defence arrangement with the United States – to mitigate whatever ambitions China might have. Even the inclusion of Vietnam, Cambodia, Laos and Myanmar in ASEAN was predicated upon a similar calculus. It was a sensible, common sense approach given China’s proximity, power and ambitions. China also poses unique challenges to the integrity of our domestic political process. Recognizing the potential for interference in our domestic affairs, and the dangers to both national security and national unity, Tun Razak also insisted on strict respect for the principle of non-interference and put in place what was in effect an internal firewall to keep China out of our domestic affairs. In order to curry favour with China and keep open the spigot of investments, loans and deals, the firewall has now been progressively compromised with predictable consequences. Despite its oft-repeated commitment to the principle of non-interference, the Chinese embassy increasingly thinks nothing of warning opposition leaders who question the direction of Malaysia-China relations or favouring certain political parties by its high-profile attendance at conferences and political events. It is even attempting to position itself as one of the principal interlocutors of the Malaysian Chinese community. There are also indications that it may be co-opting local groups to do its bidding in classic united front fashion. Just last week, for example, a local trade association lodged a police report against a planned march by the Falun Xiulian Dafa Association, a legally registered body in Malaysia which Beijing violently opposes. Interestingly, among the reasons given was that Falun Gong is banned in China and that the march might adversely affect Malaysia-China relations. All local Chinese associations were also urged to unite against the planned Falun Gong march and lodge police reports against them. Even some of our political parties are now behaving more like extensions of the PRC embassy – setting up PRC affairs committees and OBOR centres – than as Malaysian political parties. Needless to say, the more China has to lose, the more it will be tempted to involve itself in domestic affairs. Indeed, the recent embassy statement that it would “not allow anyone to jeopardize… bilateral cooperation” can be taken as a warning that it will intervene where necessary to protect its interests. Furthermore, the billions of ringgit in infrastructure projects, business and trade deals that China brings to the table gives it unparalleled domestic leverage to influence and affect outcomes. There is also no point pretending that ethnicity as well as the potential numbers involved have no bearing on large-scale development projects like Forest City and Bandar Malaysia now being built by China-based companies and marketed almost exclusively to PRC nationals. Given China’s population size, everything about China is huge – 10,000 students now studying in Malaysia, 4 million tourists expected this year. It is therefore not inconceivable that we’ll soon be playing host to hundreds of thousands of PRC residents when these cities are completed. By contrast, between 2002 and mid-2016, only 30,194 foreign nationals from a number of different countries were approved to reside in Malaysia (MM2H official portal) and they were spread out across the country. What are the national security implications of having large PRC enclaves in Malaysia? How far will China go to protect the investments, interests and security of its nationals in Malaysia? Furthermore, will large concentrations of PRC nationals be accepted by the UMNO-PAS base itself given that Malaysia’s own ethnic Chinese have been consistently demonized and cast as an existential threat to Malay power, religion and culture? Will there be a pushback sooner or later? How will it affect Malaysia’s already frayed ethnic relations? And how would our dysfunctional immigration system manage the influx of hundreds of thousands of additional temporary residents when it has done such an abysmal job of controlling our borders thus far? While those with vested interests tend to play down these issues, the concerns are real enough. If projects like Forest City are truly in the national interests, the authorities should lay before the nation the facts of the matter – what are the benefits, how many PRC nationals are expected to reside in these developments, what their status would be, what steps would be taken to ensure these development projects are fully integrated into local society, whether all relevant laws and regulations would be complied with – and build at least a general consensus to avoid adverse reactions later on. China also stands apart by the business practices of its corporations and their adherence to state policies that prioritise China’s economic and strategic interests. Many of the big PRC infrastructure and township development projects, for example, invariably include design, procurement, construction and management services. Almost everything involved – technology, equipment, construction materials, even manpower – is sourced from China and benefit China-based corporations and workers. Even the working language at construction sites is Mandarin. How do such business practices benefit the local economy? Will local companies be marginalized? How many and what kinds of jobs are really being created for Malaysians? Do these projects truly benefit the nation or just a few well-connected cronies? Are powerful Chinese corporations exempt from rules and regulations concerning transfer of technology, employment of locals, local sourcing of materials, etc., that were standard for other foreign companies? It is instructive that African countries which were the beneficiaries of large Chinese projects are now complaining about some of these issues. And then there is the issue of corruption. Transparency International’s 2011 Bribe Payer Index ranks Chinese companies second out of a list of 28 countries in terms of their willingness to pay bribes. Malaysia, for its part, is now one of the most corrupt countries in the world. When two corrupt systems interact on projects that are worth billions, can there be any doubt that billions will be diverted into private coffers or used to further subvert what’s left of our democracy? It should also be noted that many of the big Chinese projects like the East Coast Railway are actually being financed through soft loans rather then foreign direct investments. Given the massive amounts involved – all coming from a single country, much of it from the state itself – the government of China could soon emerge as one of our largest creditors. In countries like Pakistan and Sri Lanka, indebtedness to China has brought with it ruinous consequences – pressure to sell local stakes in Chinese-financed projects, 99-year leases on ports and other high-value assets, special market access and rights to additional projects on preferential terms. Some would argue that there is, in fact, a pattern of predatory lending where debt is used to ensnare small countries. It ought to be of concern to those countries borrowing heavily from China. China is unique as well in its strategic focus on critical sectors of the economy. No other country, for example, is simultaneously involved in as many port projects in Malaysia – Kuala Kedah Port, Penang Port, Port Klang (Carey Island), Kuala Linggi Port, Malacca Port, Kuantan Port, Samalaju Port – and in almost every single new railway project in the country. By contrast, other major investments and contracts involved a number of different private non-state corporations from different countries spread out over a number of different sectors. What are the national security implications of allowing a single country, particularly one with geopolitical ambitions, to dominate our transportation infrastructure? Interestingly, other countries are far more cautious when it comes to foreign corporations acquiring control of critical infrastructure. Australia, for example, has just set up a ‘Critical Infrastructure Centre’ to oversee key assets and assess whether foreign-led bids for key assets including power grids and ports pose any national security risks. And finally, China is also the only country in the region that is aggressively challenging Malaysia’s sovereignty and territorial integrity. Chinese naval and coastguard units regularly and persistently intrude into our waters and harass our fishermen in pursuit of their claims to reefs, shoals and islands in the South China Sea that belong to Malaysia. Whether we care to admit it or not, we have a growing national security crisis in the South China Sea on our hands and no coherent strategy in place to deal with it. While no one wants to see the issue escalate, it does not help that we look to the very country that challenges our sovereignty to defend it or cosy up to the very navy that intrudes into our waters and harasses our fishermen. For all these reasons, China is unlike any other nation we are engaged with. While China is too big, too important to ignore or treat with hostility, it is also too important not to be managed with prudence and realism or pursued without adequate strategic focus. We must not be so mesmerized by the opportunities that we overlook the dangers, so narrowly focused on tantalizing projects and lucrative deals that we miss the wood for the trees, so intent on private agendas and personal gain that we lose sight of national interests. China is different, very different, from all the other countries we are engaged with; to pretend otherwise would be both foolish and naïve.